With prices starting at EUR 76,300, the Audi Q8 is is EUR 15,100 more expensive than a base model of the Audi Q7 SUV. Market launch will take place in August. 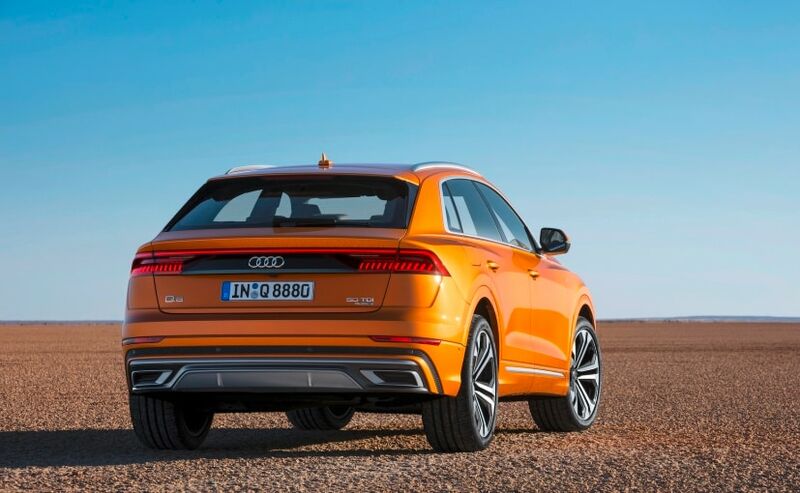 Audi has opened the order books for its all-new flagship SUV, the Audi Q8, in Europe. Slated to be launched in August, prices for the new coupe-SUV will start at €76,300 ( ₹ 61.65 lakh) in its home market. At this price, the all-new Q8 is €15,100 ( ₹ 12.20 lakh) more expensive than a base model of the Audi Q7 SUV. 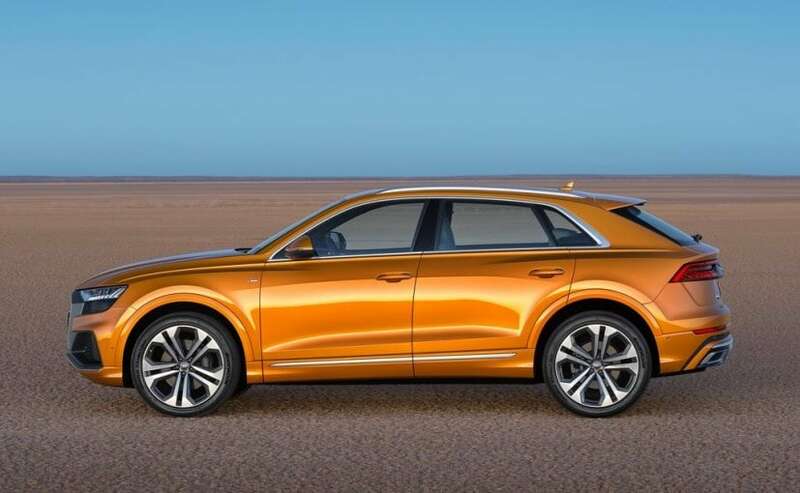 The Audi Q8, which is manufactured at the Bratislava plant, is open for bookings across Europe right now and deliveries will commence at the time of the launch. 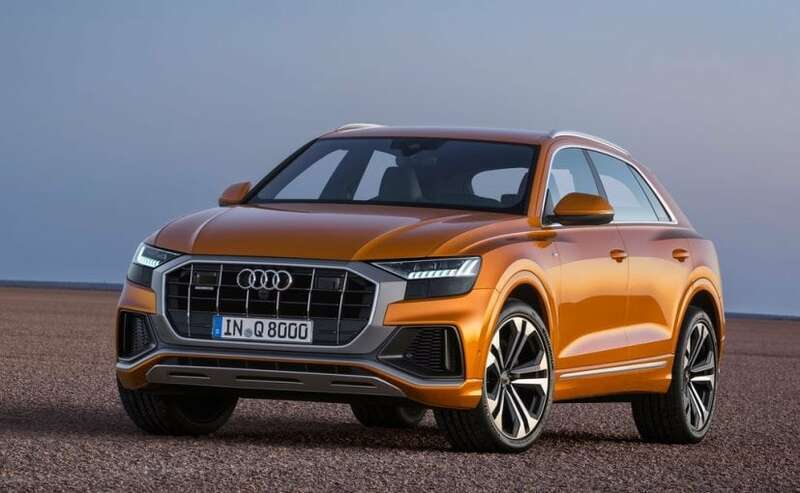 The European-spec Audi Q8 will be available in the 50 TDI Quattro variant, powered by a 3.0-liter six-cylinder turbocharged diesel engine the churns out a maximum of 282 bhp and develops a peak torque of 600 Nm. The SUV also gets the aide of the company's new mild hybrid technology that uses a 48-volt primary electrical system powered by a lithium-ion battery. The engine comes mated to an eight-speed tiptronic automatic transmission that sends power to all four wheel and propels the large SUV from 0 to 100 kmph in 6.3 seconds, before reaching a top speed of 245 kmph. 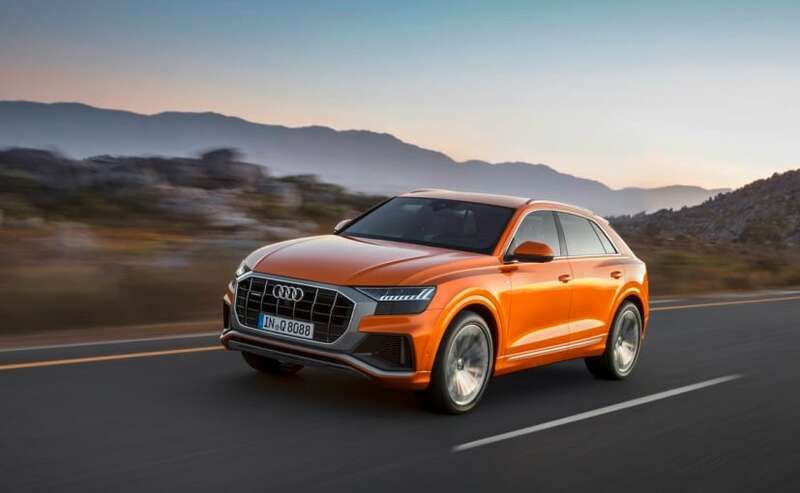 The Audi Q8 is built on the same aluminium-rich platform that underpins the likes of the Audi Q7, the Lamborghini Urus and the Bentley Bentayga. Up front, the Q8 comes with a large single-frame grille with fat borders with both vertical horizontal slats with chrome accents. The grille is flanked by a pair of sleek LED headlamps with HD Matrix LED technology available as an option and 3D daytime running lamps. The front bumper comes with a beefy skid plate and large air intakes, while the sloping bonnet features prominent character lines adding a muscular look. The Q8 comes with an elegantly sloping roofline that seamlessly merges into the inclined D-pillar and rests against the quattro blisters above the wheel arches, which house up to 22-inch wheels. The rear section, on the other hand, comes with roof-mounted spoiler and wide LED taillamps with a digital character. The rear bumper features a mesh design element that houses the sensors, while below we have the rear skid plate and styling inserts finished in dark chrome. The SUV also features a luxuriously appointed cabin featuring a 10.1-inch MMI infotainment system. There is an 8.6-inch digital display below for the air-con system and other in-car controls and a 12.3-inch display for the virtual cockpit instrument cluster. The Q8 also gets a host of tech like adaptive cruise assist, efficiency assist, crossing assist, lane change warning, curb warning,Q and 360-degree cameras. The remote garage pilot feature, which will come in early 2019, will allow you to guide the SUV into a garage and back out autonomously via the myAudi smartphone app.